College teams are already training and scrimmaging, weeks ahead of another academic year. So now is the time to plan your college media’s sports coverage – that is, if you have not already done so. (It’s not like every single event is not already scheduled and available on your school’s athletic website, right?) Planning enables staffs to be more creative, more engaged and more relaxed. Below are 10 tips for improving sports coverage across any media, which are excerpted from the second edition of the Field Guide To Covering Sports, which will include the expanded list when the book becomes available in Winter 2017. The new edition dives even deeper into social, digital, and mobile sports media, and the Field Guide greatly expands coverage of sabermetrics/analytics, Fantasy sports, ethics, broadcasting and visual storytelling. Plus, there is a chapter on covering a college beat. In a few weeks, I’ll start posting more regularly here and Twitter. So check in when you can, and feel free to toss me questions about sports media coverage. In the meantime, consider employing the suggestions offered below. Good luck. Don’t just write game stories and previews. Focus on issues faced by coaches and athletes, write profiles that reveal challenges in people’s lives, reveal aspects of the game by analyzing team or league stats, and review athletic budgets. Game stories are essential, of course, but expand your coverage by looking outside the lines. Record, post video. Video is no longer an option for sports media. Fans demand it in all media, form Vine to Facebook to websites. Videotape press conferences, fan reaction in crowds during games, and events. After games, tape interviews game that, ideally, run 60 to 90 seconds. Besides breaking news, publish information on weekly award winners, observations from practice, unusual stats, and interesting quotes not used in published stories. Don’t write columns about your own beats. That’s schizophrenic. Beat reporters cannot claim to be objective in their coverage, when they are then blasting their opinions on a team’s performance. After a while, coaches and players won’t know whom their speaking with – the fair reporter or the biased columnist. Introduce yourself to coaches before you start covering their teams, either in their offices or before a practice. Let the coach know your background, if he asks, and certainly ask this coach whether he/she would be willing to offer insights into the game during the season. Hang out. Sit back and watch practices, when possible. Have informal, off-the-record meetings with coaches, asking them to offer how they feel about coaching, players, and life in general. Hit social media hard. Break all news on Twitter, which has become the first level of reporting. Whether someone gets named the starting quarterback, or gets hurt in practice, post the initial information on Twitter. You can then develop these stories on your websites and blogs. In addition, promote content on multiple social media. Follow athletes, coaches and administrators who have accounts to get personal updates, commentaries, and announcements. Don’t rip into coaches and players. That’s how fans react. 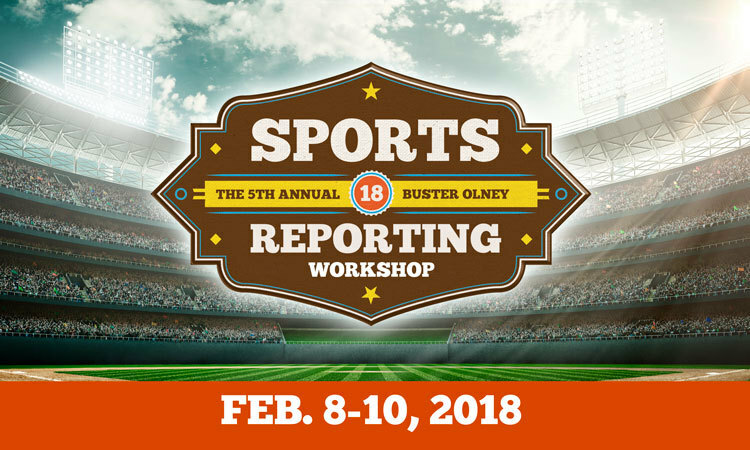 Sports journalists investigate by analyzing decisions from numerous perspectives and by speaking with coaches and athletes to learn why decisions were made. Sometimes, teams are just not good enough or good plays fail. This entry was posted in College Media and tagged college sports media, sports journalism, sports journalism education, sports media, sports writing, sportswriting. Bookmark the permalink.